I think you’re saying you want to buy the house now with cash just to ensure you close the deal, then refinance shortly after. There’s a program offered by Fannie Mae known as “Delayed Financing” that allows home buyers to pay in cash and then get a mortgage almost immediately. However, the new mortgage is treated as a cash out refinance and the max LTV may be capped at 70%, meaning 30% effective down payment. 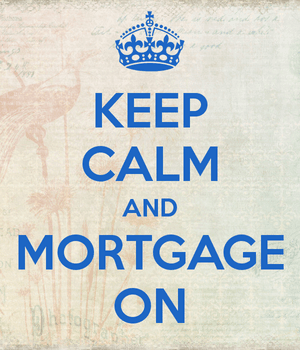 And you’ll need to find a lender to offer Delayed Financing and get approved. Awesome list of pro’s and con’s in buying a home with cash. My husband and I will be able to financially afford that in 5 years, or we can take out a mortgage now. The choice is a tough one, but in the end I think we are going to try for cash. We really like the idea of not having to pay interest on the home and really getting the best value. If you can afford cash, it is the way to go. It is your house, no fees, no interest, no lenders. With low interest rates and higher standard deductions it is hard to get the tax advantage anymore unless your payments are really high. And who wouldn’t have their house covered by insurance?! Regarding having cash as a buyer, it is an advantage but really not much different than showing up with a preapproval letter from a bank. Takes about the same amount of time to close either way. It’s not 1980. The days of “buy all the house you can afford” with the forgone conclusion that the value of real estate will rise against the dollar (or that the dollar will shrink relative to real estate and everything else) are over, right? Isn’t that why my friends who bought houses with mortgages in the 21st century are “under water?” Somebody please lay it out for me so I can convince my mother that I don’t want a mortgage if I can avoid it. I have some cash and modest tastes in homes. If you live in a current Hurricaine State (I live in NY for example) and you decide it’s cool to live near the water (Rockaway Queens and oddly enough Manhattan)….I’d mortgage. The likelihood of collateral damage is high and not worth sinking 100% into a house when there is high risk of destruction involved. Conversely, if you live in a low disaster state or just live too far from the water or from a fault line or just don’t live in the Midwest (wind disasters), I’d try to shoot for an all cash, especially if you have no plans to move or other reasons known to you. But only if you saved at least 50% more than the house is worth/sales price. Good take Tevin…I feel the same way about homes in California.